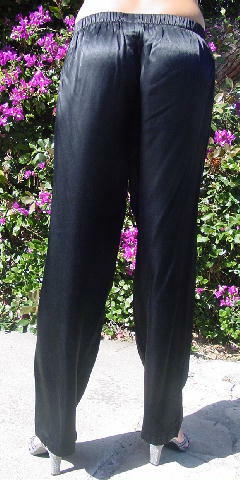 These black 50% rayon and 50% acetate wide-legged pants have an elastic waistband and faux drawstring tie. 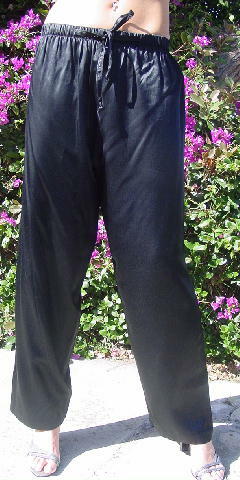 The left leg in the inseam area and below has a couple of small thread pulls. They're from a stylist's inventory, and were worn in a photo shoot with an Asian vest.